Thom Singer has a rant going about the problems with some people wanting to make a connection to him through LinkedIn when he really doesn’t know them very well. 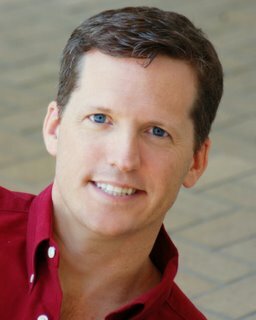 It seems someone got a bit snippy at Singer’s connection rules, and fired off a less-than-professional e-mail to him. 1. Would I recommend you for a job? I don’t link to you unless I’ve worked with you in some way or know you personally and feel good about the experience. I don’t want anyone calling me about your work and saying, “What are this person’s strengths?” and I say, “Gee…I dunno.” That makes me look bad, and that’s not what networking is about. It’s supposed to be a win-win for everyone. So, if I don’t connect with you, it’s nothing personal – it’s just that we need more time to get to know one another. 2. Do I think you’re headed in the right direction? If I see someone connecting to a lot of people really fast, throwing invitations out like confetti on New Year’s Eve in Times Square, I hang back. It makes me a bit nervous to see someone collecting connections like they’re Pokeman cards. Those links seem a bit too rushed, and the lack of solid foundation concerns me. It’s sort of like social spamming. 3. Are you doing your homework? If you have no real understanding of what I do and how I do it, then I ignore you. Again, nothing personal, but I’m not into connecting with you if you’re not willing to take the time to get to know me, and help me get to know you. Lazy linkers will always move on to the next person, and that's fine with me. Finally, I really consider myself a sort of gatekeeper for the other people in my network. They see me as someone they trust, and I don't want to betray that by trust by letting someone in that I really don't know. But, hey, once I get to know you and we connect in an honest way,then welcome to the party, pal. Thanks for adding to the discussion. Your point about "would I recommend you for a job" is the point I was trying to make....a network needs to have knowledge and understanding among members for it to have value. Otherwise it is just a phone book. Sort of reminds me of the authors who send me books asking me to write a review "blurb" for the book jacket and neglect to send me the book. How can I possibly recommend something that I don't even know what it's about?